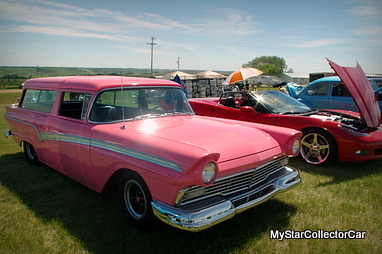 One of the most contentious issues at car shows is the guest list. 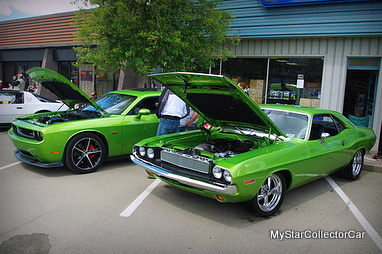 Should new cars mingle freely with old cars at shows or should the young four-wheeled Turks get banned from car shows? The lines are pretty clearly drawn for people on both sides of this debate and there appears to be little common ground. We have our own opinions here at MSCC because our mandate from Day One was to focus on the vintage rides and we have not changed that program at all over the past six years. 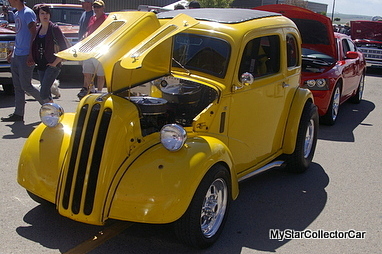 Consequently we enjoy every opportunity to find a collection of old iron at cars shows because that is our wheelhouse. New cars are simply background obstacles for us and we will try to angle our photo shots to eliminate new cars and people every time we shoot an old car at a show. 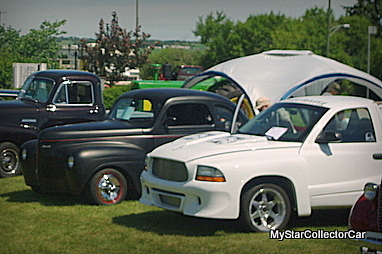 The old rides are the only stars in our camera lens when it comes to our reason for existence at MSCC. Initially we thought the new cars were at shows because of lazy drivers who did not want to walk from the visitors parking area to the show. 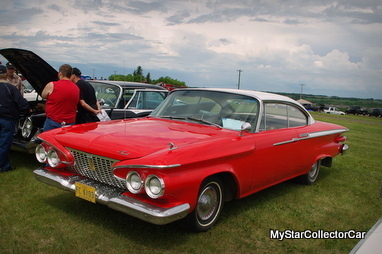 At first it was bit jarring to see a brand new car or truck in a sea of old school nostalgia, but now it is a common practice at many shows. Right or wrong, new vehicles have become a part of many car shows and ignited a hot debate along the way. New shows have sprung up with a simple mandate: your ride must be built sometime between the dawn of the internal combustion engine and the Kennedy (or Nixon at the latest) administration before you can enter it in our show. We like the segregated-by-build-date shows for our own purposes: to celebrate the glorious past-not the present of the automotive hobby. However, we are also cognizant of the bigger picture in the car hobby wherein a new generation of gearheads love the new rides. The same thing occurred years ago in the 60s and 70s when then-young car guys bought new muscle cars and loved their then-new rides. Many of them spent all of their extra coin on after-market speed equipment to make the factory rides even faster, while today’s car guys can chip up their performance. The important part of the equation is both groups are dedicated car guys and, in a world where a new generation would rather play video games and pretend they are driving cars than enjoy the pure simple pleasure of actually driving cars, we need all hands on deck to keep the hobby alive and well. We have noticed many more of the younger under-30 generation at car shows and we attribute their increased numbers to the influx of new rides. The newest generation of car hobbyists respect and admire the old school vehicles, but they congregate around the outrageously fast new rides at most shows. 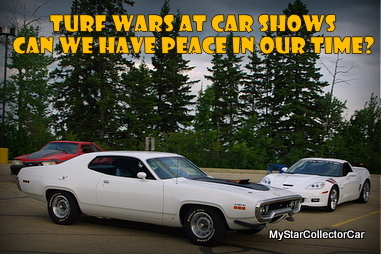 The new world order of car shows may require some extra planning to quell the dispute. Our solution would be a dedicated new car area at shows where like-minded new school car guys and girls can see the new rides in one place. 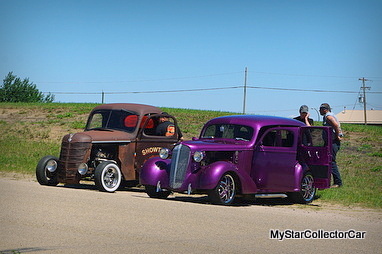 Give the old school car guys a place at each show where they and their vintage rides can mingle freely with each other and we have a workable compromise. Plus we at MSCC can spend less time editing out new rides in our photos and get back to simply editing out people in our photos.